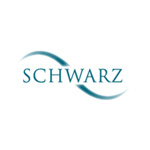 If you are unable to come to Schwarz, we are happy to carry out domiciliary eye examinations and spectacle dispensing at your home; or at nursing and residential homes. There is no charge for the over 60s or anyone who would otherwise be eligible for an NHS sight test. Who qualified for a domiciliary sight test? If you are eligible for a free NHS sight test but are unable to leave home unaccompanied because of physical or mental illness or disability, you may be entitled to an NHS-funded sight test at home (also known as a domiciliary sight test).